A perfect gift for that special occasion! Book early to avoid disappointment later. 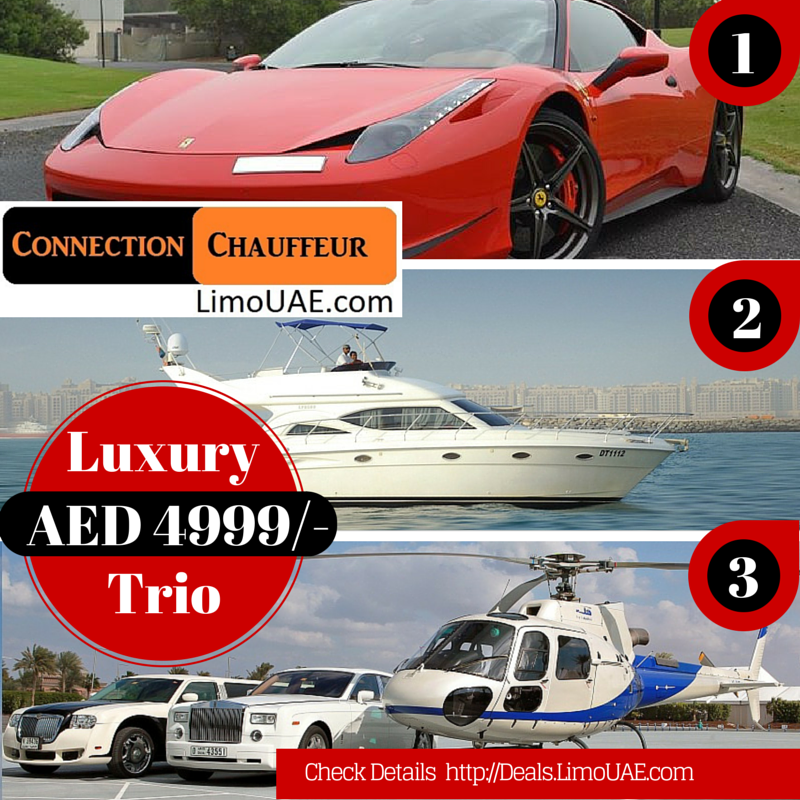 Luxury trio is all in one package whereby you get 3 amazing experiences for one great price. Firstly, a beautiful sport car either a Ferrari is delivered at your doorstep. You get to enjoy 4 hours on this great machine. Then you drop off at the yacht club to get a cruise on a luxury 50ft yacht for 2 hours around the palm, the lagoon and burj al arab. Finally, you will be driven to the helipad for a 12 minutes aerial tour of Dubai. All this for an amazing price of AED 4999 only!